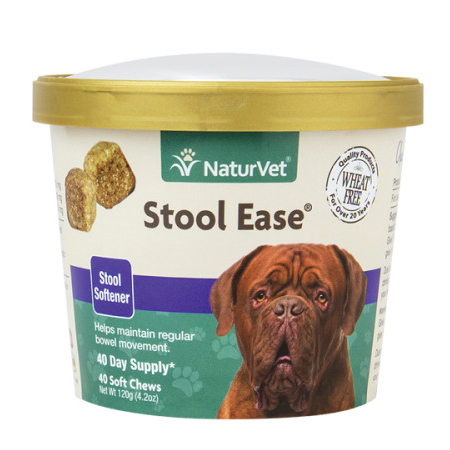 Home > Misc > See All Products > NaturVet Stool Ease Soft Chews for Dogs - 40 ct.
Stool Ease is a stool softner for dogs to help promote regular bowel movements in constipated dogs. Stool Ease soft chews contain pumpkin powder, sugar beet pulp, flaxseed, psyllium husk and dandelion root to support regular bowel movements in constipated pets. May be taken on a regular basis for long-term support or occasionally as needed. Available size: 40 soft chews. Item arrived on time, and as expected. 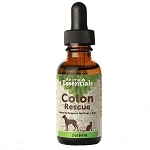 I would recommend this product, as it has really helped my husky. Proprietary Blend of Sugar Beet Pulp, Flaxseed and Psyllium Husk - 1000 mg.
Pumpkin Powder - 58 mg.
Dandelion Root - 51 mg.
Inactive Ingredients: Brewer’s Dried Yeast, Citric Acid, Dried Potato Product, Glycerin, Lecithin, Maltodextrin, Mixed Tocopherols, Natural Flavoring, Rosemary Extract, Salmon Oil, Sorbic Acid, Tapioca Starch, Vegetable Oil, and Water. Give 1-2 soft chews per 20 lbs. daily. For long-term use, give 1 chew per 20 lbs. daily. If condition does not improve, consult your veterinarian.